Tom Gillis co-founded Bracket Computing with the goal of delivering enterprise computing driven by business needs, not hardware limitations. 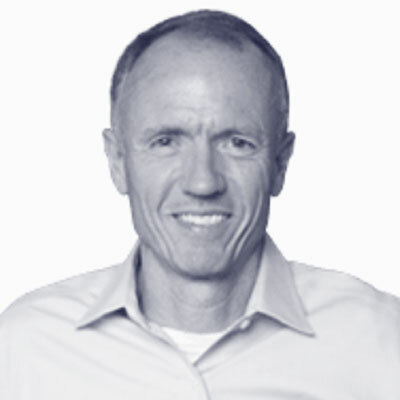 Prior to Bracket, Tom was VP/GM of Cisco’s Security Technology Group, leading business units responsible for Cisco’s entire Network and Content Security product portfolio. Prior to Cisco, Tom was VP Marketing and part of the founding team at IronPort Systems, acquired by Cisco in 2007 for $830M. Previously, he was VP/GM of Media at IBEAM Broadcasting, which went public on NASDAQ in 2000. He has held leadership roles at Silicon Graphics, the Boston Consulting Group, and Raytheon Corporation. Tom holds a BSEE from Tufts, an MSEE from Northwestern, and an MBA from Harvard. His Forbes blog is widely followed by CIOs and global IT professionals.